US War Department activates Air Defense Command under Brig. Gen. James Chaney. Franco, in response to Hitler’s appeal to enter the war, says ‘I stand today already at your side, entirely and decidedly at your disposal,’ but refuses to enter the war. Dutch protest Nazi measures against the Jews, German soldiers fire on protesters in Amsterdam, 9 killed, hundreds arrested. The RAF launches an attack against the battleship Gneisenau, which is being repaired at Kiel’s floating dock. The damage caused is severe and the battleship is never again put to sea under her own power. Churchill exhorts General Auchinleck to launch an offensive against the German and Italian forces that are gathering in front of the Gazala line. He reminds Auchinleck that the longer he waits, the more time Rommel will have to rebuild his strength. 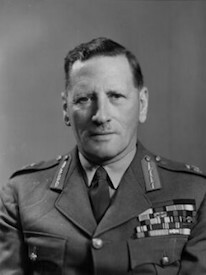 To this General Auchinleck reply’s that his intention is to first build up an armoured striking force as quickly as possible and strengthen the defenses of the Gazala line. Only then would he mount a major offensive, which he advised Churchill would be in early June. While carrying Army fighters to the Netherlands East Indies, the first U.S. carrier, the USS Langley, is sunk by Japanese bombers. Von Arnim launches a five-day counter attack in northern Tunisia, gaining some ground. Montgomery issues the plan Operation ‘Pugilist’, which is to smash the Mareth defensive Line in southern Tunisia. U.S. B-17 Flying Fortresses and B-24 Liberators pound German docks and U-boat lairs at Wilhelmshaven. Bad weather ends ‘Big Week’, during which 26 German aircraft production related factories are hit putting German monthly production down by 20%. Japanese retreat from Sinzweya, Burma, ending “Battle of the Admin Box,” as British troops relieve trapped Indian troops. The attacks by the US Ninth Army into the Hurtgen Forest make little progress. US Ninth Army reaches Rhine south of Düsseldorf. Army Group Courland repulses heavy Red Army attacks in the area of Prekuln. U.S. Marines land on Verde Island, to the Southeast of Manila.